The unusually vicious state-led crackdown has targeted Saudi Arabia’s most prominent women’s rights advocates, including activists who led the first protests against the driving ban decades ago and were jailed for their defiance. The arrests have been puzzling for their timing — occurring just weeks before the driving ban is set to be lifted. But Saudis have also been stunned by the gravity of the charges and the deeply personal attacks on the activists, whose pictures were circulated in government-friendly media outlets in what human rights groups called a smear campaign intended to silence calls for women’s rights. The work of Saudi feminists in many ways represented the last sliver of permissible activism in Saudi Arabia, an absolute monarchy. Some of the feminists’ aims — such as revoking a system requiring women to seek approval from a male guardian to travel or to marry — had become part of a mainstream conversation and did not seem to cross the red lines that Saudi authorities have strictly enforced when activism turns to politics. “The only voice left was feminists talking about guardianship,” said a 33-year-old Saudi woman who became involved in the campaign against Saudi guardianship laws after her brother tried to make her marry his business partner. She spoke on the condition of anonymity for fear of reprisals. The woman said she refused and called a government hotline seeking help. Instead, the person at the hotline sided with her brother, citing his right to “obedience” from female dependents, she said. 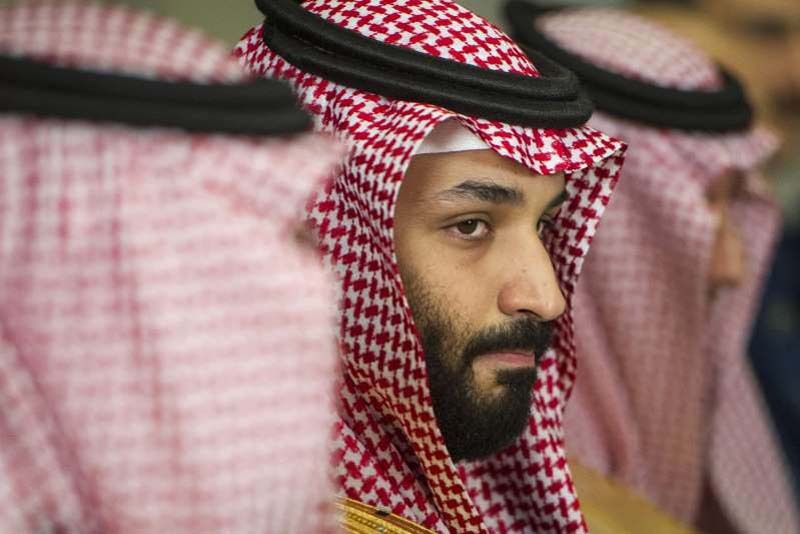 Publicly, at least, the crown prince seemed to be on board, saying in an interview with CBS’s “60 Minutes” this year that he believed that women and men were equal. “We are all human beings, and there is no difference,” he said. In previous waves of detentions, the details of the arrests — and the names of those jailed — have been left murky, with officials saying they were compelled to respect the privacy of the accused. The rules had appeared to be different when it came to female activists. After news of the arrests — of five women and two men — circulated Friday, “I started seeing statements that they are traitors and deserve to be punished,” said Hala al-Dosari, a longtime Saudi human rights advocate who is close to many of the detained activists. A Saudi daily carried the pictures of Loujain al-Hathloul and Aziza al-Yousef, two of the activists, on its front page. It is not the first time the activists have been arrested or subjected to defamation campaigns, she said. But most of those detained over the past few days have been warned repeatedly by authorities that they should not talk about the driving ban or engage in other public activities, Dosari said. In addition to Hathloul and Yousef, the detainees include ­Madeha al-Ajroush and Aisha al-Mana, who took part in the first protests against the driving ban, in 1990, and Eman al-Nafjan, a university professor and blogger. But as the attacks on the activists have mounted, it is looking more like a “public shaming and a real effort to mobilize society behind it,” she said. It is possible the Saudi leadership is trying to position itself as “centrist” in the national discussion after a period of rapid change, she said. Or the arrests might be intended to insulate the leadership from criticism by religious ultraconservatives who are angered at the decision to allow women to drive — to show that “we won’t let these wild feminists take the lead,” Diwan said.